Check out the latest spotted photos of your favourite celebrities! Kajal Aggarwal was spotted at the airport. Kajal will star in the Tamil remake of the 2014 superhit Kangana Ranaut film, Queen, directed by Vikas Bahl. The remake will be called Paris Paris and is expected to release sometime during the next month. Queen was critically and commercially one of the biggest success stories of 2014. It was praised for its strong female lead and Kangana delivered one of her career's best performance. Kajal was last seen in Telugu film, MLA, that released earlier this year. 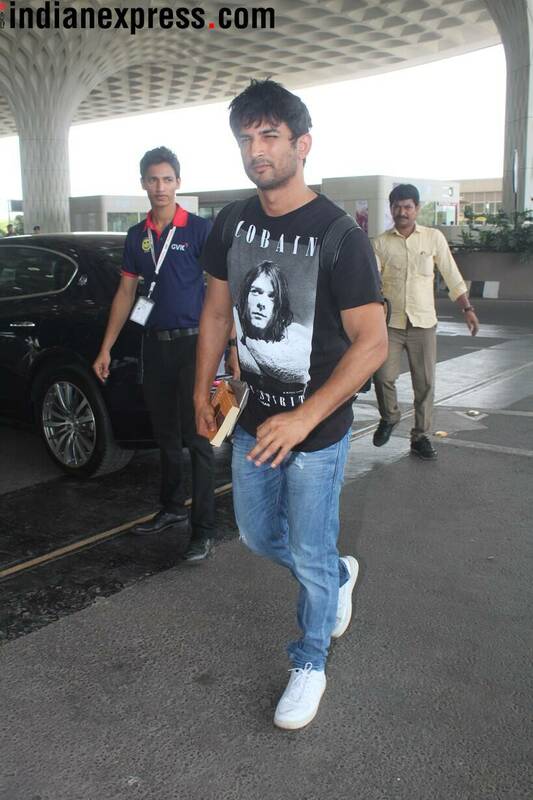 Sushant Singh Rajput was also spotted at the airport. He is currently waiting for the release of Drive, an action-comedy in which he stars alongside Jacqueline Fernandez, Vikramjeet Virk and Sapna Pabbi. Chitrangda Singh was snapped in Bandra. Chitrangda will star in Saheb, Biwi Aur Gangster 3 that is slated to release on July 27. Janhvi Kapoor was also seen at Bandra. She will star opposite Ishaan Khatter in Dhadak in her debut role.